Citicoline is a widely popular nootropic dietary supplement. It belongs to cholinergic family. You can even find it naturally inside the human body. Also known as CDP-Choline (Cytidine Diphosphate-Choline), Citicoline is extremely effective and safe. It contributes in developing grey matter, which is important for overall health and brain functions. Ferrer was the first pharmaceutical company to develop Citicoline in 1993. It aims to help patients suffering from stroke. Interneuron (a nootropic supplement manufacturing company) obtained the license from Ferrer. This is so they can manufacture and market it exclusively in Canada and the US in 1993. By the year 1997, Citicoline became available in thirty countries. There was also a patent request to use it in saving brain tissue from stroke that causes cerebral infarction. The patent request took place and issued on 1998. Citicoline is a water-soluble agent, which is a vital mediator during the production of phosphatidylcholine. This is a key element in the grey matter tissue of your brain. It further assists in creating other forms of phospholipids. All these are vital elements in cell membranes. Citicoline is also useful in treating those suffering from dementia, cognitive disorders, head trauma, and cerebral ailment. It helps users, both therapeutically and cognitively. CDP Choline is also under research at present to find a possible cure for Alzheimer’s. It is quite a beginner in the nootropics family. Studies are still ongoing to exhibit an established relation between deteriorating brain ailments and cognitive development. Initial results are quite positive. It proves to be a valuable cure for strokes, Alzheimer’s, and other cognitive disorders. Since it belongs to the cholinergic family, it functions in an identical manner to other cholinergics. It’s a choline source, which is vital for your brain to produce the neurotransmitter called acetylcholine. Citicoline boosts the quantity of choline in your body. Your brain requires choline to create acetylcholine. It’s a neurotransmitter, which transfers fresh information within the brain then saves it for longer duration and faster recall. In brief, acetylcholine is a vital neurotransmitter. It allows your brain to produce and recall fresh information. After Citicoline enters your body, the intestinal tract is necessary in absorbing it. After crossing the blood-brain barricade, it breaks down into two different compounds: Choline and Cytidine. Both perform diverse functions. Choline can help create acetylcholine. It improves memory while Cytidine improves the metabolism of cerebral energy. It also boosts the production of compounds inside cell membranes. This eventually provides you with superior focus and energy. 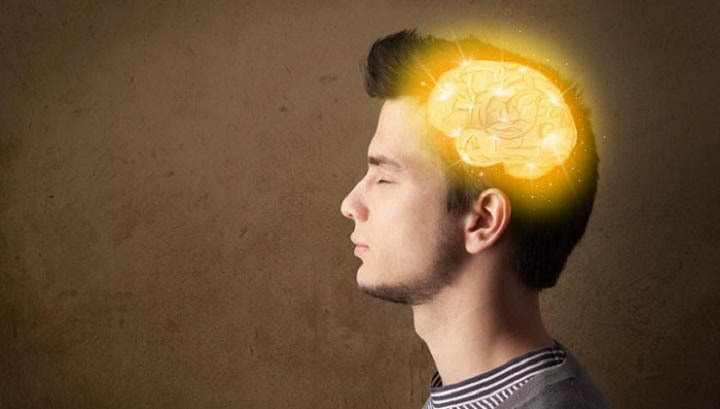 Simply put, Citicoline is a powerful double action nootropic compound. It immensely improves memory retention while boosting memory. In addition, it improves concentration and develops overall brain health in many ways. It also improves the levels of dopamine in the human brain. Dopamine improves your mood by reducing stress and anxiety. Citicoline is associated with numerous cognitive benefits. Students or workers who wish to perform better at school or at work are increasingly getting familiar with its benefits. It helps improve memory, both in terms of creation and development of memories. It is because it boosts acetylcholine levels in your body, allowing neurons to correspond more efficiently. Better memory retention and fast information retrieval is also another benefit. This further improves learning aptitude. It repeatedly exhibits positive results in age-related memory issues. Also, it has remarkable effects in the memories of those between 50 to 85 years of age. It helps those suffering from deteriorating brain ailments. The supplement boosts the levels of mental energy, thereby allowing users to gain better concentration. It also helps them stay motivated and achieve a higher focus span. However, it’s advisable to take the supplement during the morning or early midday to avoid sleep troubles. It boosts brain metabolism which is because of the improvement in oxygen intake. Furthermore, it improves blood circulation all throughout your brain, thereby curing cerebrovascular ailments. The supplement is a safe and well-tolerated compound. At present, no side effects associated with its long-term use have been reported yet. Most individuals even never noticed any of the above mentioned side effects. Therapeutic and medical studies revealed that continuous use for 90 days does not cause side effects or safety issues. These studies did not go past the stipulated 90 days duration as of yet. Therefore, there’s no confirmation, whether or not, CDP Choline is safe to use after the 90-day period. Most users won’t even experience any of the above listed side effects. Those who suffer from any side effects should consult their doctors before continuing to use the supplement. Until now, there are no reported instances about its interactions with other medicines. However, it’s advisable to consult your doctor if you’re previously taking any type of therapeutic prescription. It’s also necessary if you’re suffering from any kind of existing ailment or disease. Breastfeeding or pregnant women should avoid taking any type of nootropic including Citicoline. The most significant clinical research, to collect information about its side effects, occurred on 2817 patients. They have an age range between 60 and 80. In this research, side effects were only noticeable in 5% of patients. There were no grave side effects during the entire research. Those 5% patients only experienced mild intestinal problems. Citicoline is fairly easy to use. Just like other nootropics, you can take it in both pills (tablet) or powdered form. Many also take it intravenously. However, we don’t recommend it at all. Pills or powdered form are the most suitable means to take Citicoline. A typical pill contains a dosage of approximately 500 mg. Powdered form is a more economical alternative comparatively. The suggested dosage starts at 500 mg each day. With more experience, one can increase the dosage up to 1 to 2 mg each day. An ideal dose is 250 mg twice daily. Take one dose during the morning (preferably with breakfast) and the next one during the noontime (preferably with lunch). This offers great cognitive benefits throughout those typical working hours. However, you need to avoid it during the evening or late afternoon to prevent insomnia. Just like other nootropic, it’s advisable to take it in cycles (on and off) to prevent tolerance or any potential side effects. Various studies revealed that all patients who received Citicoline under 24 hours of an ischemic stroke fully recovered. This does not happen to those who didn’t receive it. Although it functions efficiently on its own, it also stacks well other nootropics. Stacking is an efficient method to maximize its cognitive benefits and reduce the side effects. You can stack CDP-Choline with a racetam such as Oxiracetam, Aniracetam and Pramiracetam. With Pramiracetam – Pramiracetam needs a steady source of Choline to boost the acetylcholine levels in your brain, delivering the desired benefits. Citicoline is a top Choline source required by Pramiracetam. Therefore, stacking it with Pramiracetam boosts its overall effect. With Aniracetam – Stacking Citicoline with Aniracetam delivers numerous cognitive benefits. These include improved memory, focus and cognition, reduced anxiety and depression, and improved mood and mental energy. Being a good Choline source, CDP Choline boosts the effects of Aniracetam. Also, it can effectively avert the side effects associated with it. With Oxiracetam – Stacking Citicoline with Oxiracetam leads to numerous cognitive benefits. These include improved attention span, better learning aptitude, and improved memory retention and faster recall. Oxiracetam activates the cholinergic action while Choline (present in Citicoline) produces acetylcholine. This efficiently matches up with the rapid interaction rate of the neurons. Citicoline is legal almost all over the globe. It’s also available in more than 70 nations. It’s usually available in various trade names including Somazina, Cognizin, Ceraxon, Synapsine, and NeurAxon. You can also access it over the counter, and purchase it without any prescription. Good news is that online purchase is simple, convenient and safe. In 2009, the Food and Drug Administration (FDA) offered GRAS (Generally Recognized as Safe) status to Citicoline. In 2014, its use became legal across EU’s 28 member countries.